HostForLIFE’s servers are optimized for web applications such as Zope. The performance and the uptime of the hosting service are excellent and the features of the web hosting plan are even greater than what many hosting providers ask you to pay for. What is European Zope Hosting? 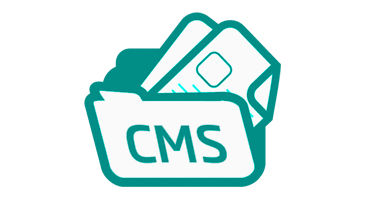 Zope is a leading Open Source Application Server and Content Management Framework, specializing in content management solutions, portal content management, and custom applications. Zope allows very rapid, object orientated development of web applications or sites. It is an Open Source project, meaning that the underlying code of the software is freely available. There are no licensing cost associated with Zope, thus reducing the total cost of deploying a project. Unlike common file-based Web templating systems such as ASP or PHP, Zope is a highly object-oriented Web development platform that covers much more of the problem domain for Web application developers. It provides clean separation of data, logic and presentation, an extensible set of built-in objects and a powerful integrated security model. The Zope infrastructure relieves the developer of most of the onerous details of Web application development such as data persistence, data integrity and access control, allowing you to focus on the problem at hand. Why Choose HostForLIFE.eu for Zope Hosting? Try our Free Zope Hosting today and your account will be setup soon! You can also take advantage of our Windows & ASP.NET Hosting support with Unlimited Domain, Unlimited Bandwidth, Unlimited Disk Space, etc. You will not be charged a cent for trying our service for the next 3 days. Once your trial period is complete, you decide whether you'd like to continue.